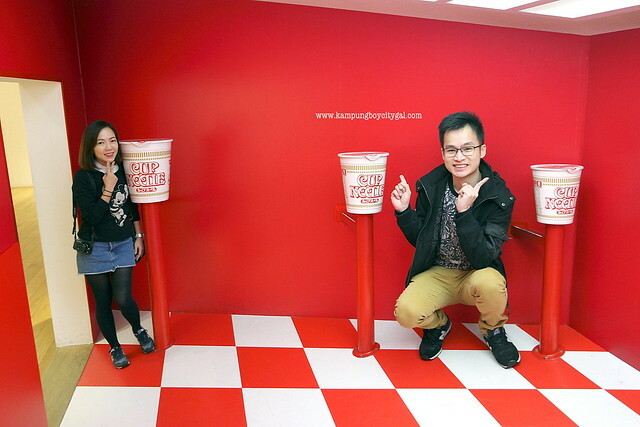 Cup Noodles Museum Yokohama is a fun and interactive museum that shows the history of instant ramen noodles using a combination of whimsical exhibits and hands on workshops. 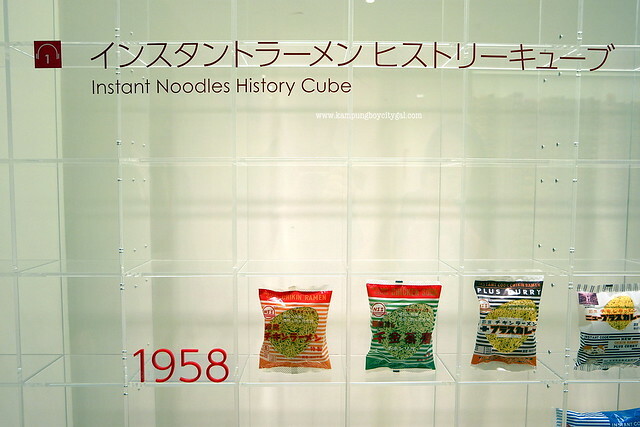 It was opened by the Nissin Food company, whose founder Momofuku Ando invented instant ramen noodles in 1958 as a fast and convenient food. 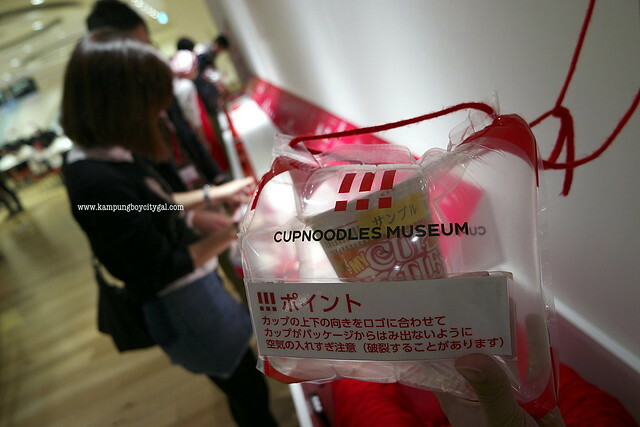 It is the second cup noodles museum to open in Japan; the first is the Momofuku Ando Instant Ramen Museum in Osaka. 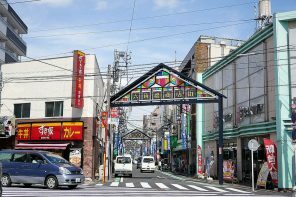 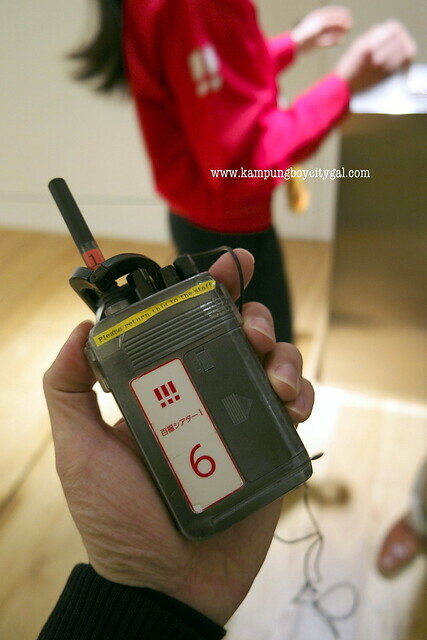 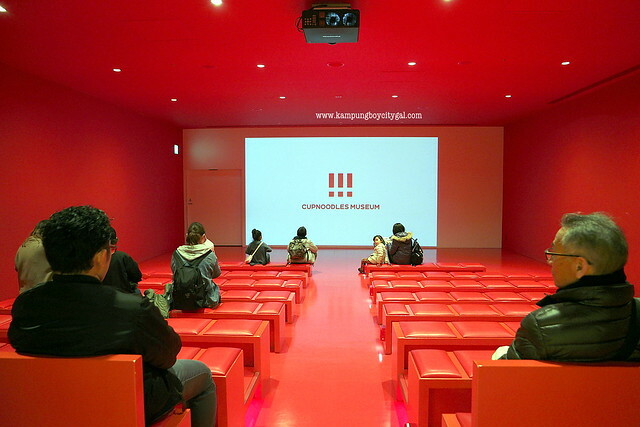 The entrance fee is 500 yen per person, while workshops and activities cost extra. 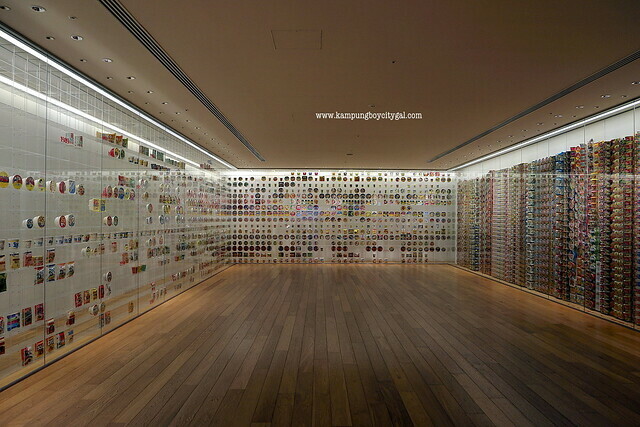 Once we enteredCup Noodles Museum Yokohama, we were greeted by a huge collection of Nissin Cup Noodles on display since year 1958. 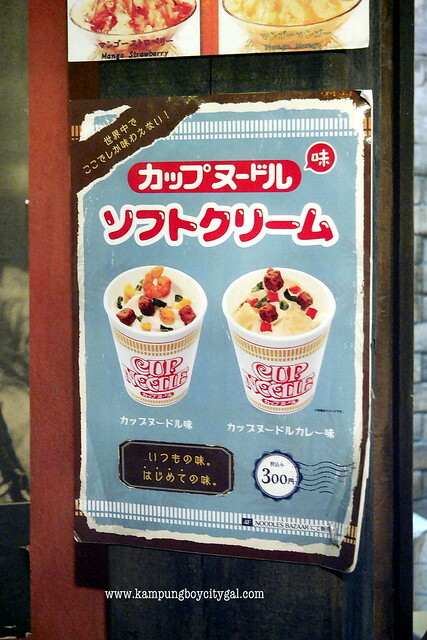 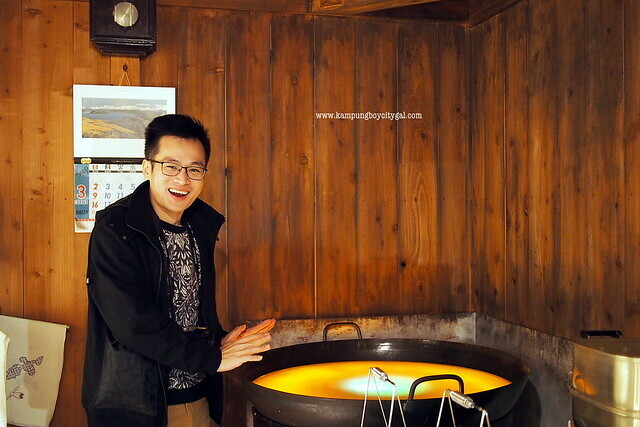 The museum shows a short film introducing the history of instant noodles. 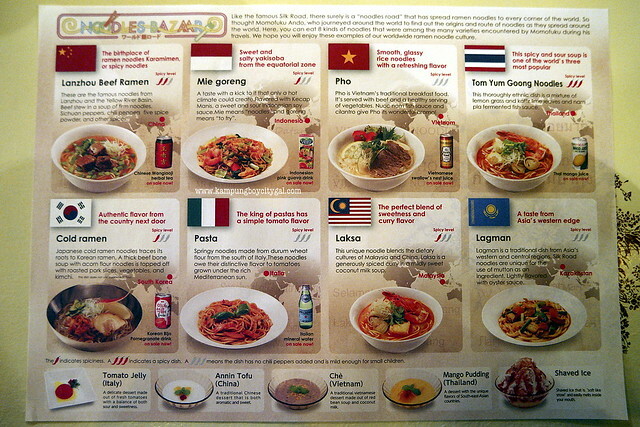 Headphones in different languages are available. 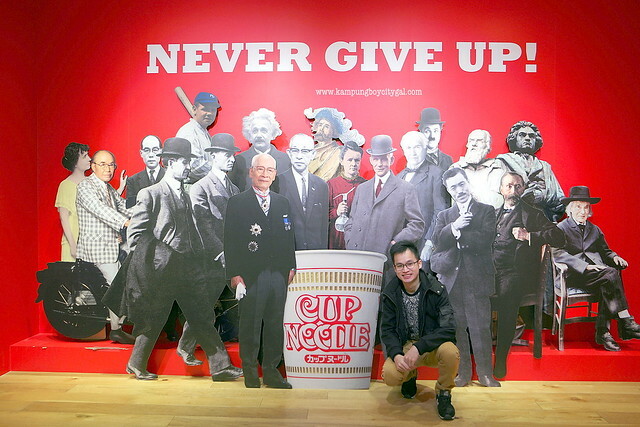 The story of how Momofuku Ando invented cup noodles is really inspiring. 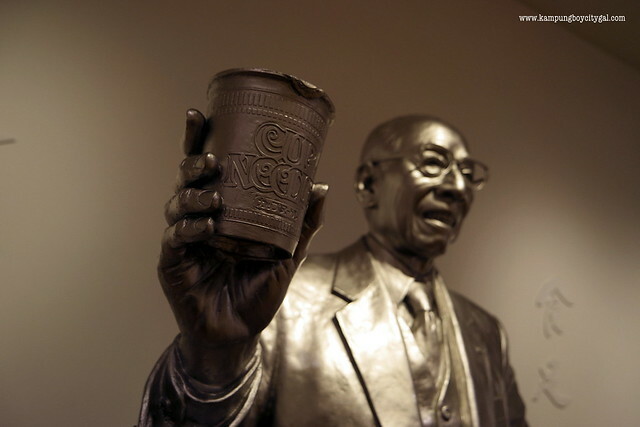 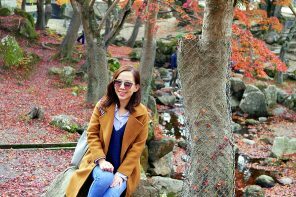 With Japan is suffering from a shortage of food post WWII, Ando was struck by inspiration when he saw people huddled around a ramen stall in Osaka. 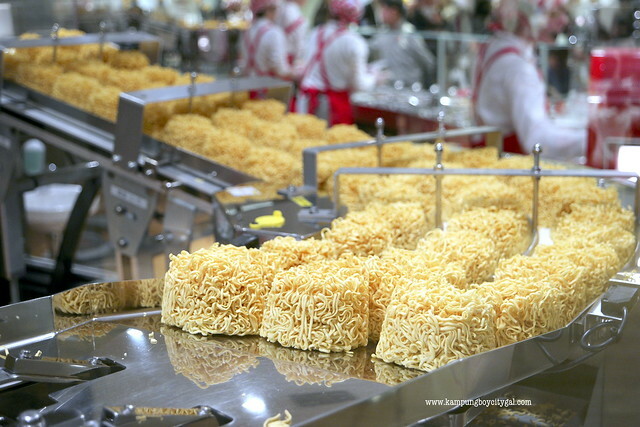 He invented flash-frying noodles after seeing his wife making tempura. 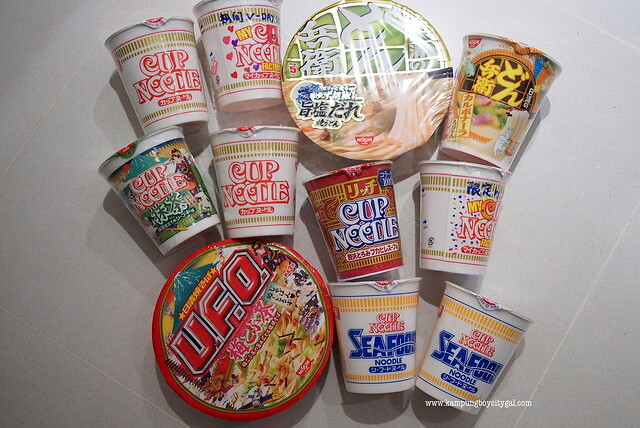 The noodles can be quickly cooked in boiling water. 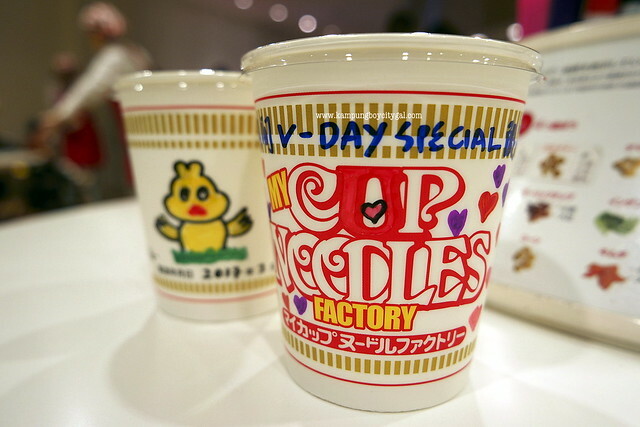 In 1971, he invented Cup Noodles, which were inspired by customers who reused coffee cups as ramen bowls. 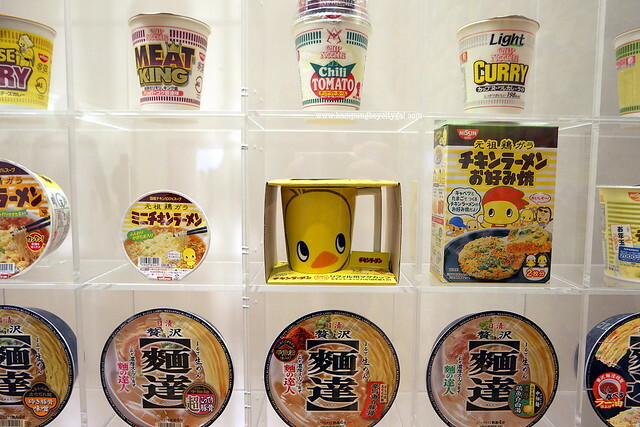 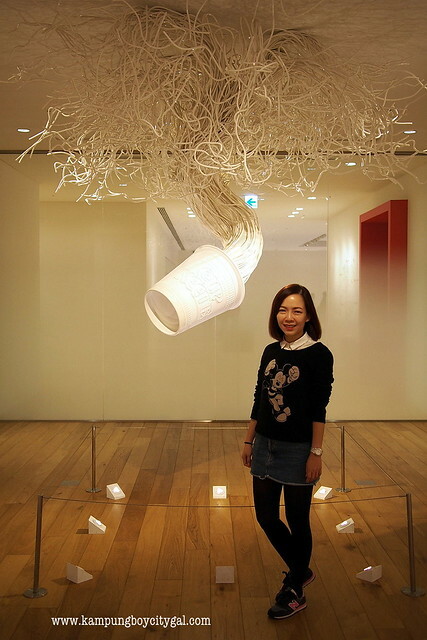 A small collection of modern art pieces are also on display, and are meant to represent Nissin’s approach to creating new and innovative products. 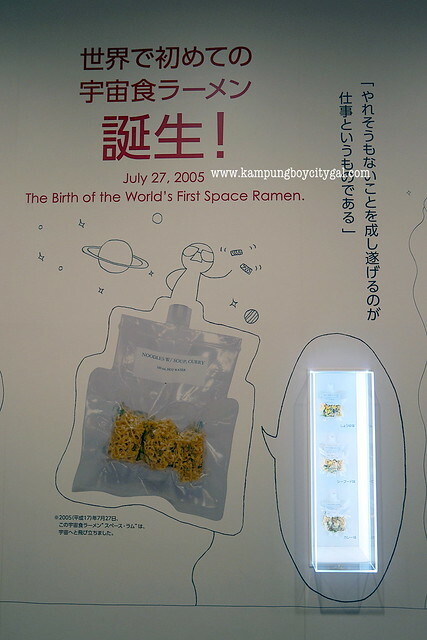 In year 2005, Momofuku Ando came out with space ramen for astronauts. 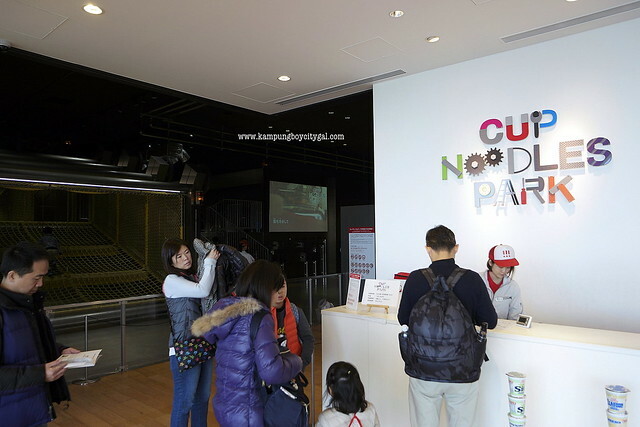 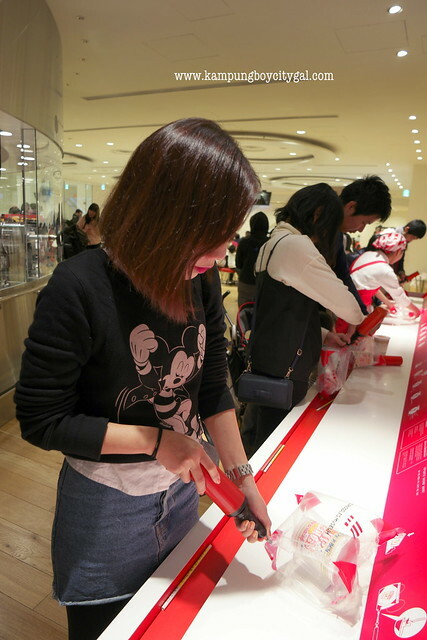 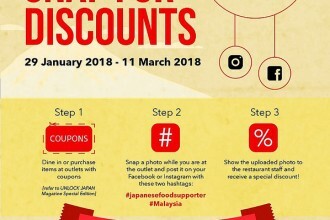 There are also several activities at the museum including the popular My Cupnoodles Factory workshop where you can create your own original cup noodle by mixing and matching a variety of soup flavors and toppings. 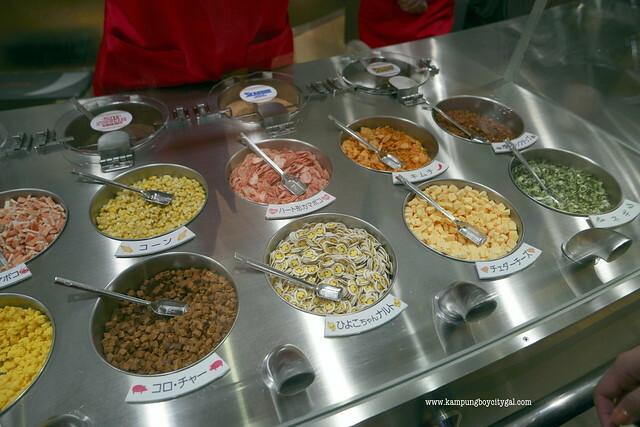 You need to buy an empty cup from the dispensing machine and it costs 300 yen. 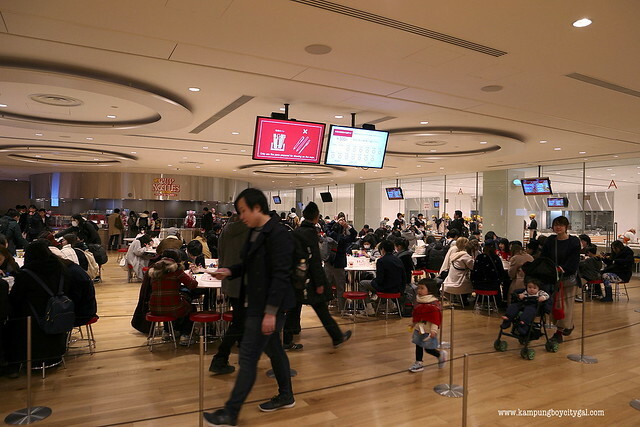 Reservations are not necessary but on busy days the cups might run out. 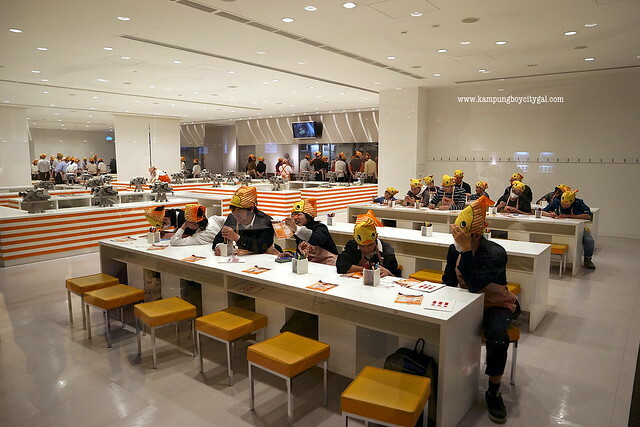 So it is better to be there early. 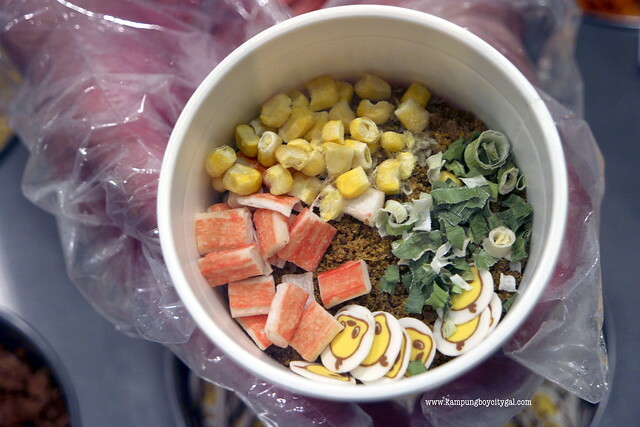 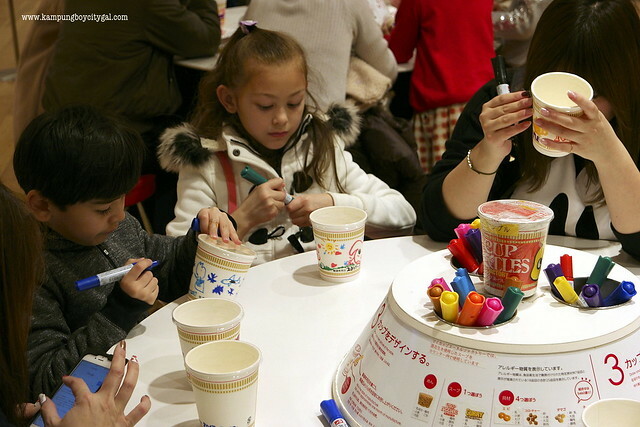 Then unleash your creativity by decorating and creating your very own cup noodles. 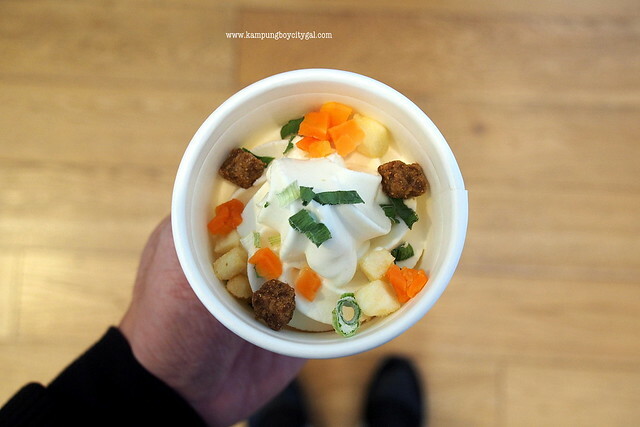 You get to choose your own soup base and 4 ingredients for toppings. 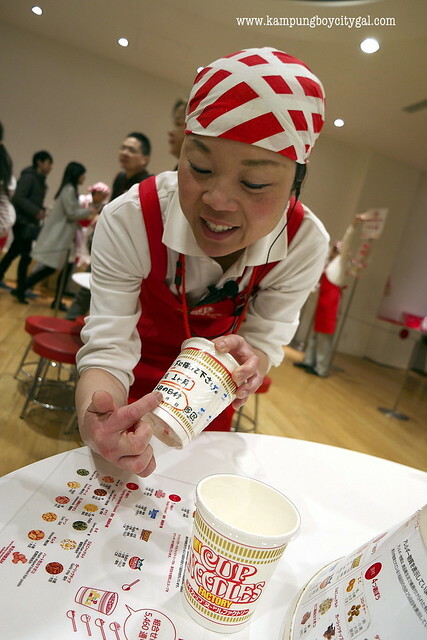 The staff will help you to seal your cup noodles then you can opt to pack your cup noodles into a protective bubble bag. 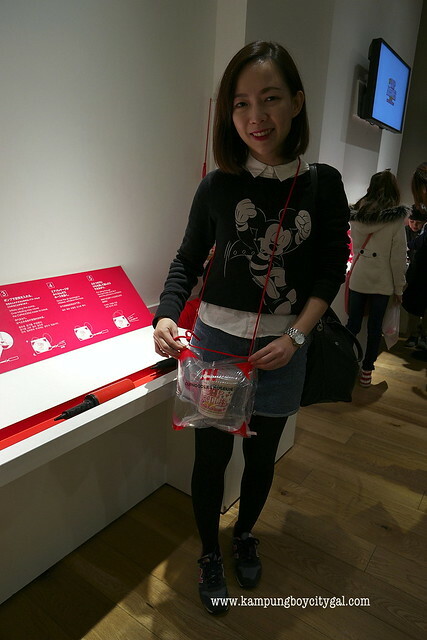 I’m loving my new “sling bag” here. 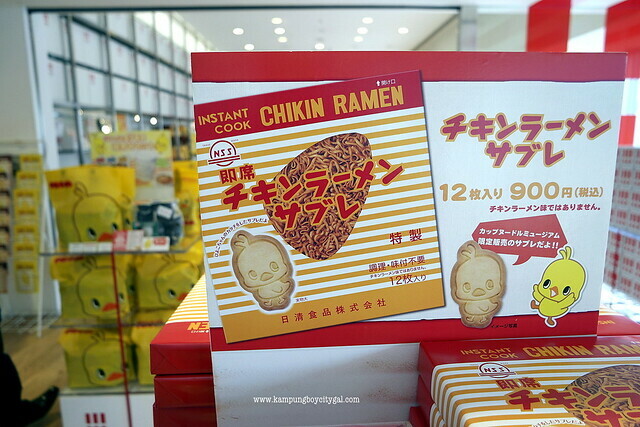 In the My Chicken Ramen workshop you can make your own instant ramen noodles from scratch, package them, and take them home to eat. 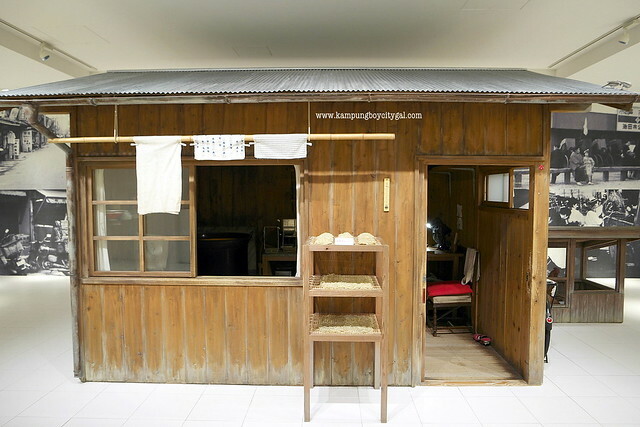 The workshop takes about 90 minutes, costs 500 yen, and requires advance reservations. 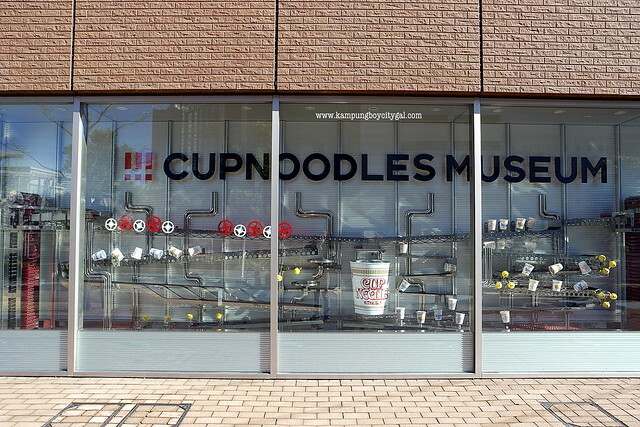 The museum also has the Cupnoodles Park (300 yen) children’s playground, which is modeled after a factory where kids play noodles being made and shipped out. 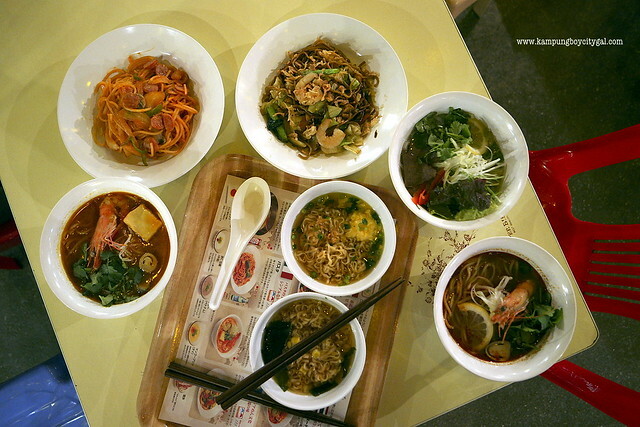 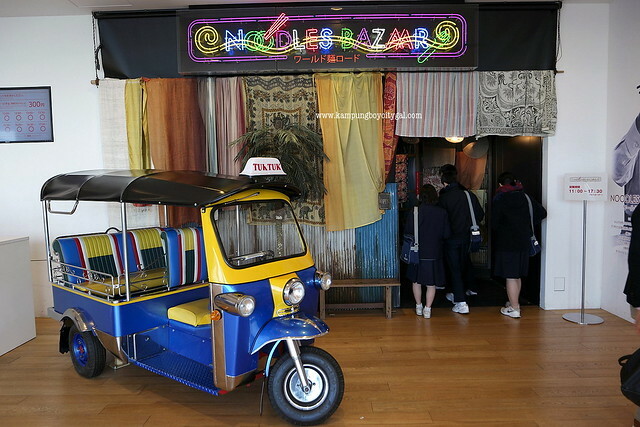 Don’t leave without trying some noodles from all over the world at the Noodles Bazaar. 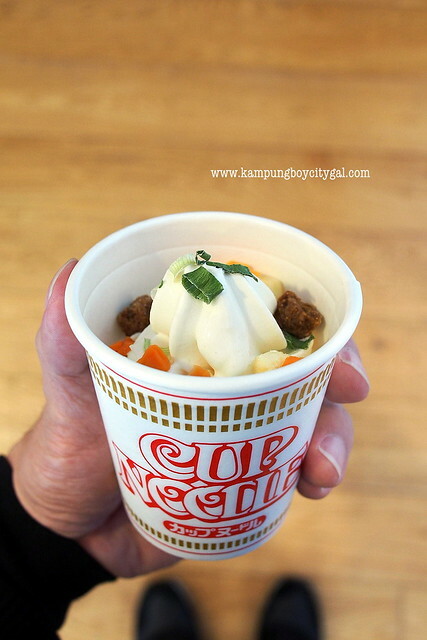 As weird as it sounds, cup noodles soft serve in curry flavour actually taste good. 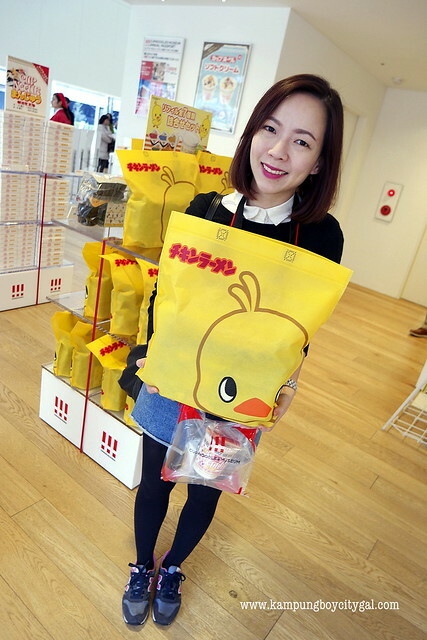 We also bought some souvenirs before we left. 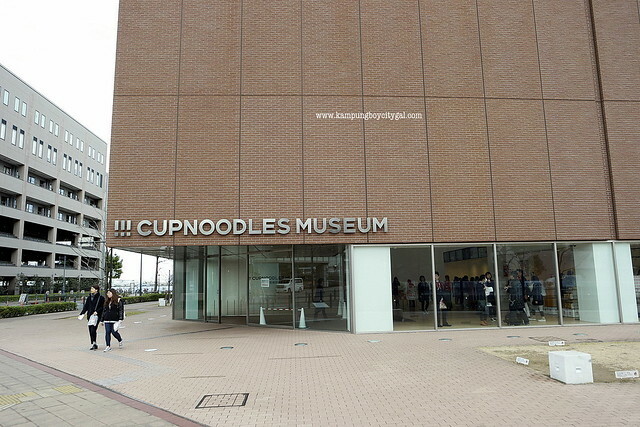 We had such a great time at Cup Noodles Museum Yokohama. 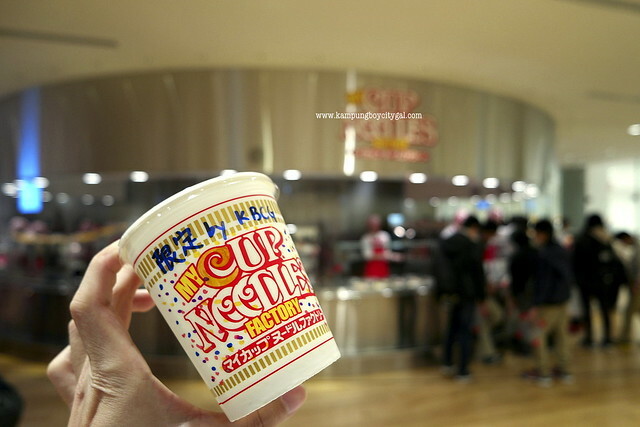 Even as an adult, we find the Cup Noodles workshop to be so much fun and educational – definitely a must try experience when you are here. 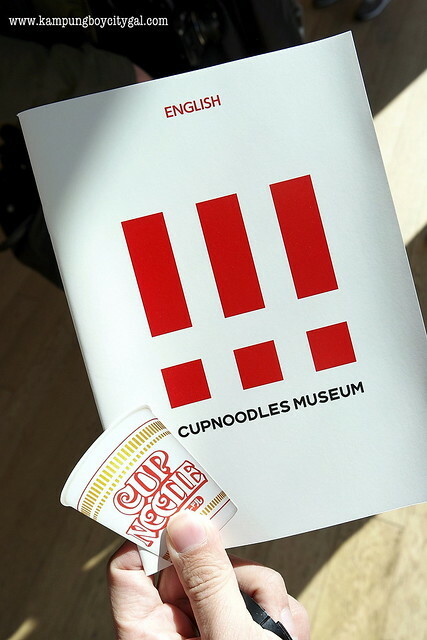 The Cup Noodles Museum is a 10 minute walk from either Minato Mirai Station on the Minato Mirai Line or Sakuragicho Station on the JR Negishi Line and Yokohama Subway Line. 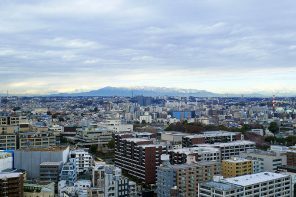 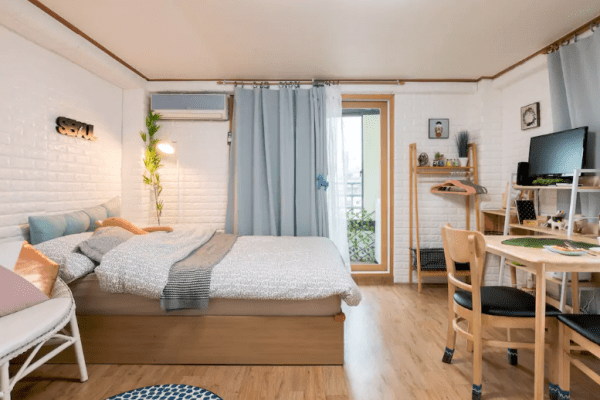 It is within walking distance from Landmark Plaza, the Pacifico Convention Center, World Porters and the Red Brick Warehouses.